Things are busybusybusy here as we get into competition and concert season! Alb and I are also busy counting down to Easter because we have had a little getaway planned for a long time. Of course, with holidays comes sewing for holidays so here are my plans for the next few weeks. 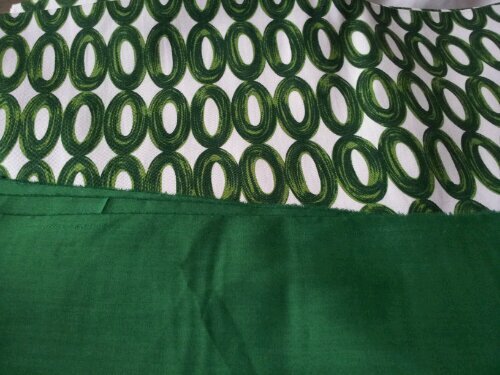 The green print is a cotton with some stretch that I bought in Murphy Sheehy’s last spring. I bought enough for a dress but never had the guts to sew it up. Dear readers, its time has come. It’s going to be a Cambie Dress. Given my previous success with just the skirt part of this pattern, I think it’s time to sew up the whole thing. The solid green cotton was a long-searched-for match. It is peculiar how the texture of a fabric can affect colour matching. Anyway, it is for a bolero. I looked through all my patterns and many online before finally settling on one that I have had a long time but never made: the cropped blazer from Salme patterns. The black hole on the top of the photo here is in fact navy stretch cotton for a pair of pants. 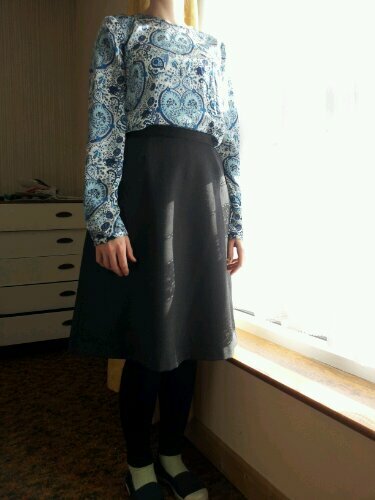 I bought this Burda pattern after seeing a few peoples’ successes with it, it seems like a good match for the cotton. 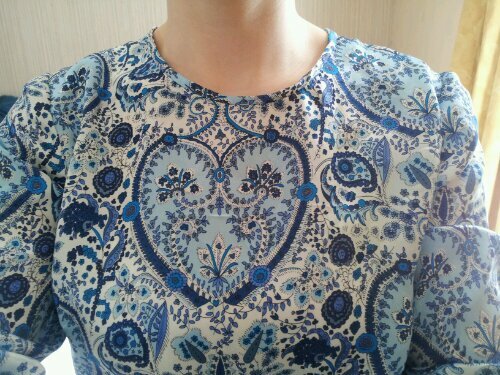 The print is a light voile for an Airelle blouse. 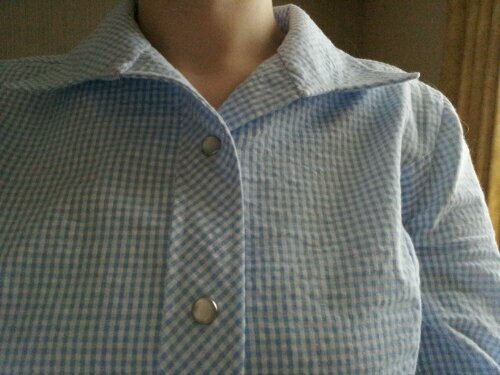 I will probably omit the collar given my track record for making blouses with collars that do not fit over cardigans! And that’s it. I think two outfits to bring with me and still get wear out of afterwards is a good, achievable aim. Some sewing here and there and finally, this is done. 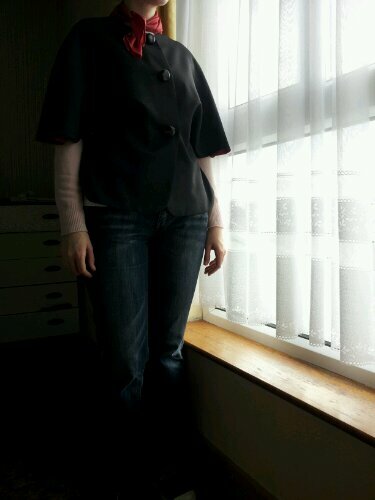 Pattern: It’s from Burda style magazine, 12/2012 I think. Style #119 I think. In the same magazine is a tank top based on the same bodice, #118, and it fits so nicely that I think I’ll make some tops out of the same pattern. 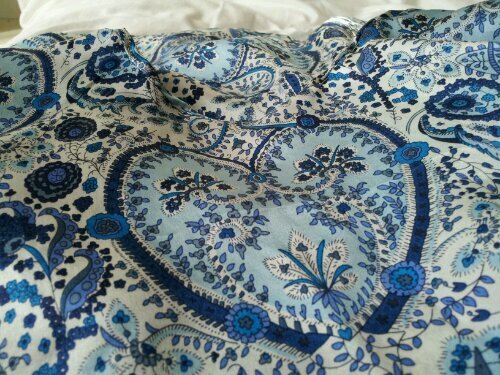 I sewed size 38 if I remember correctly and used 1.25m of 150 cm wide Liberty silk – €25 from Murphy Sheehy’s. I didn’t follow the instructions at all. 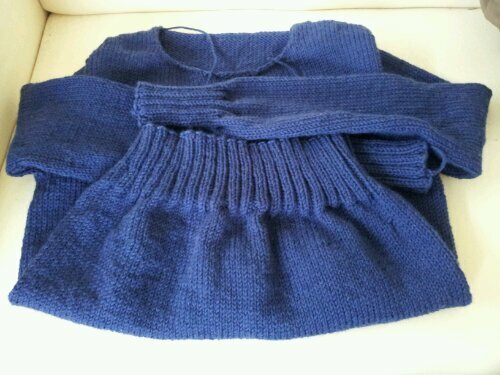 I used strips of bias interfacing to stabilise the neckline and armholes and it worked a treat. You can buy it in a box; it’s about € 10 but worth every penny. 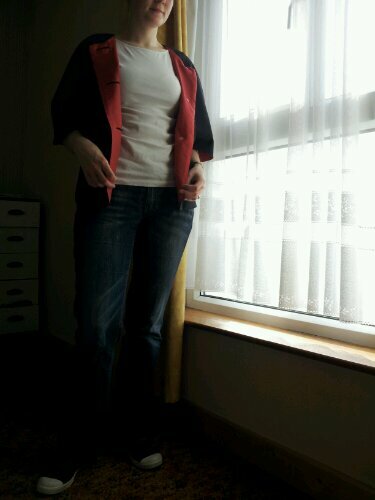 I think there’s supposed to be a loop and button for the back slit but I just used a hook and eye. The bias edgings I sewed on no problem and then sewed them down on the inside by hand. Not difficult, just a bit time consuming. 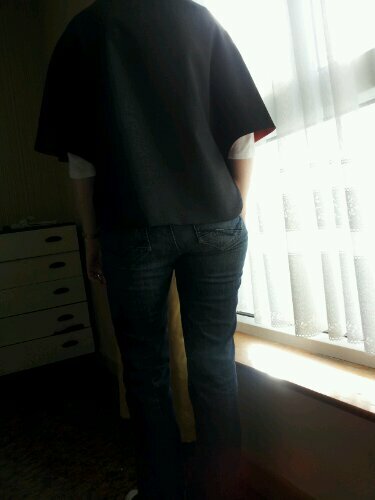 I did the same with the facing for the back slit. 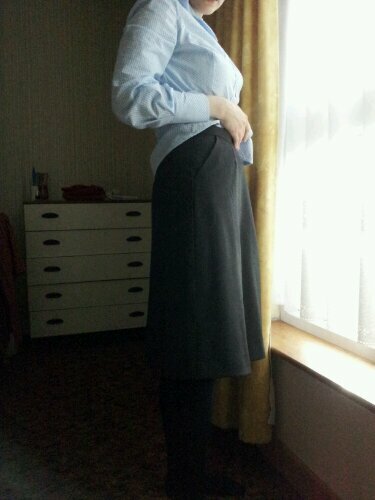 The sleeves are a wee but long but it doesn’t bother me since I usually do this with my sleeves! I also just sewed on the cuff binding without any slit in the sleeve because firstly, I forgot and secondly, the binding was too short for an overlap for a button. 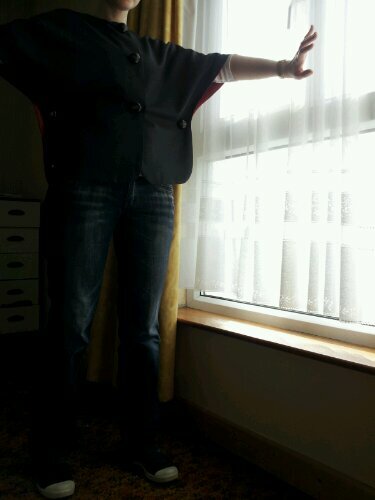 This was the original outfit as I’d planned. I bought all the material and lining together for €70 which, considering I still have enough wool for pants leftover, is pretty good. 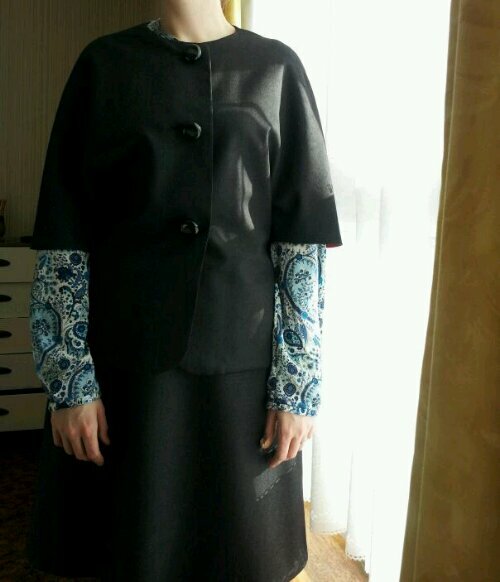 I love the cape and the skirt but perhaps not together. 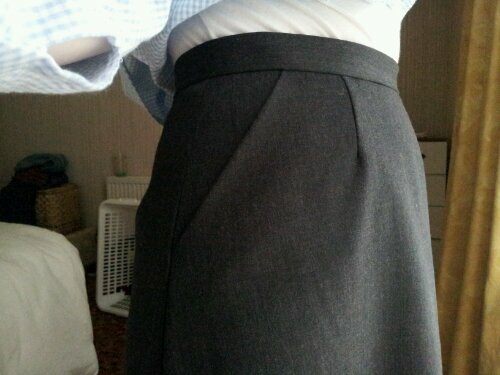 Maybe I’ll make a pencil skirt instead. 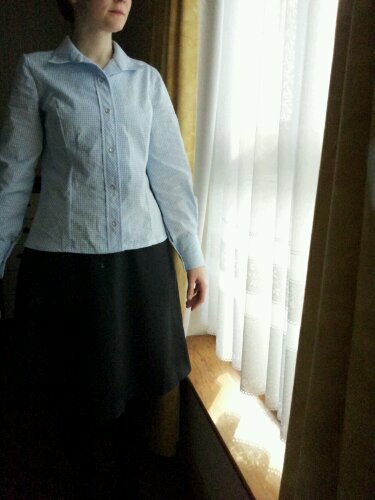 All in all though, this was an easy pattern to make and my first successful silk blouse. A number of things made this easier: I found a tutorial for cutting slippery fabrics – you sandwich it between two layers of paper (I used newspaper) and cut it out. It worked amazingly well. I used silk thread, even for basting, and a silk needle. I had no problems with snags or big holes like other times. I’ve already planned another in a navy polka dot! If you’re Liberty silk, the answer is very, very much. 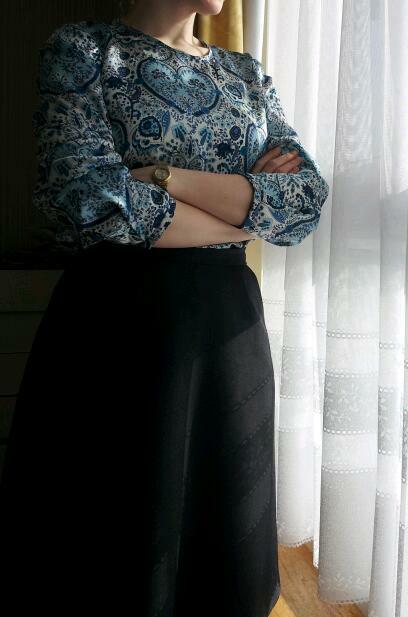 A simple long sleeved blouse from a recent Burda magazine. It’s moving slowly but only because I’m not on midterm break anymore! And of course, if you’re my Dad, the answer also is very, very much! A patiently-awaited jumper that I cranked out during midterm. It’s about to get it’s neck band and then it’s done. He’s off to colder climes soon (I love climes, don’t you?!) so he’s going to need it. Can you tell I’m sort of a separates gal? 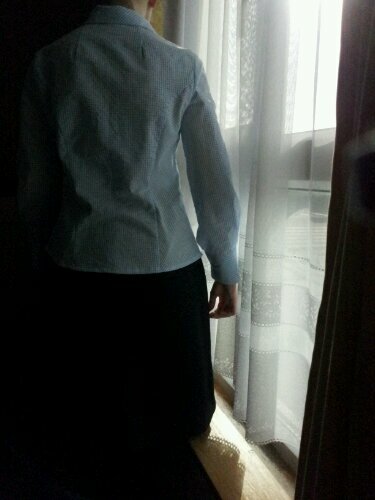 First up, the blouse. A straight forward vintage pattern I picked up on Etsy. It has princess panels in the front and required no fitting whatsoever. 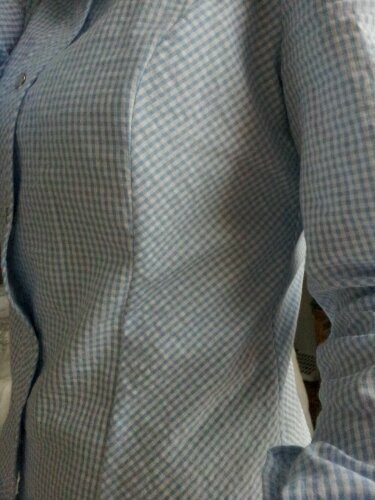 I used just over 2m of cotton gingham (woven as opposed to printed) from Hickey’s for about €20. I really like the collar and stand; I hand sewed the stand down for a better finish and it worked. 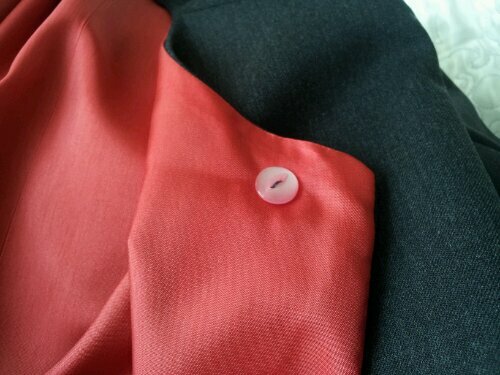 I also used Jersey snaps instead of regular buttons which is super quick, if a bit loud. Here’s a better view of the panelling. I used the opportunity to cut my panels on the bias so I didn’t bother trying to match the pattern. 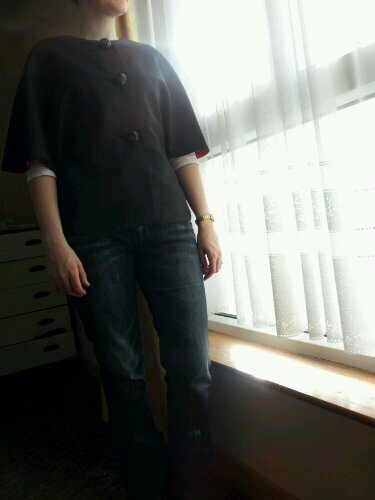 The skirt is another Cambie skirt, made using the same wool and lining as my cape. 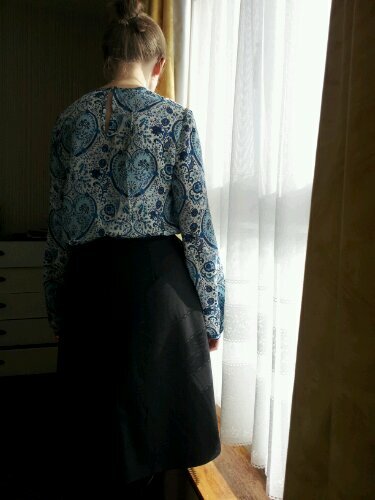 I used very, very old black lace to hem it. I bought this lace back when Rubanesque had their tiny little shop on Sth William St. Years ago. Easy enough makes but both filling out needs in my wardrobe. Extremely happy with the fit of both so I expect to get lots of wear out of them. A bit of a departure for me with this one. I have never been drawn to capes; they always seem so impractical. The design of this one, with its faux sleeves and slim line, convinced me otherwise. Pattern: Woodland Stroll, a download from Lisette Gibson over at the Oliver+. It was…$12? $13? Something like that. It was worth it. It was easy to put together, easy to pick the right size and the instructions were great. 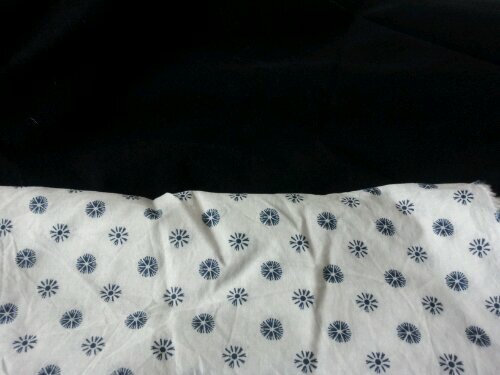 Fabric: I bought 1.5m of both main and lining fabrics and I only used about 90 cm of both. I have enough left of the grey wool to make pants and I had enough lining to make a matching scarf. 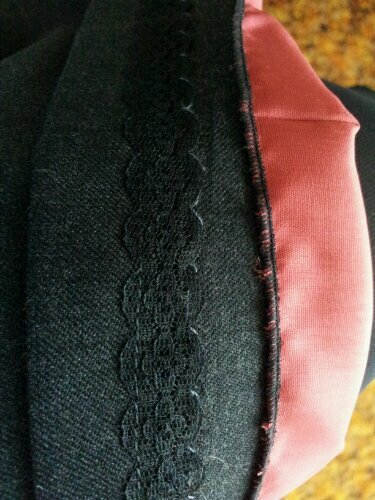 Picking the lining was fairly important as it tends to be quite visible. I was happy to find such a nice match. This gives you an idea about the sleeves. There’s great movement and they make manoeuvring a handbag more manageable than your typical cape. The buttons, like I said before in a previous post, came from Rubanesque. I reinforced them with buttons I had hanging around as they are quite heavy. Here it is with the matching scarf I made up last night. It got its first outing already! I thought I would really have to wait for a spring day but I got it today. Off I went to the botanic gardens. 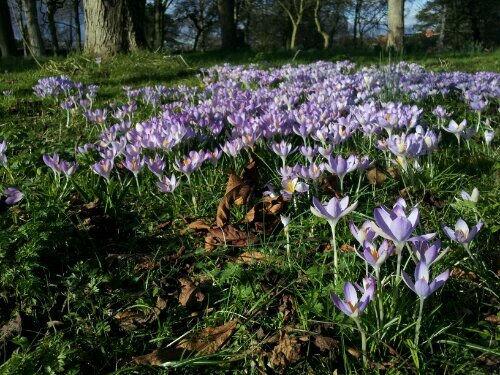 Crocuses abound already.